All else equal, and I know that is rarely true, operations marks the difference between an unsustainable competitive advantage and a sustainable competitive advantage.1 In order to understand the role of operations in determining the success or failure of a startup we must start with some definitions. 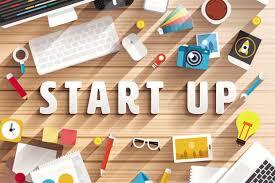 Definition #1: What is a startup? When I think of a startup I prefer to paraphrase the definition provided by Steve Blank and Bob Dorf in their book The Startup Owner’s Manual; A startup is a temporary organization built to search for the solution to a problem, and in the process to find a repeatable, scalable and profitable business model. The defining characteristic of a startup is that of experimentation – to have a chance at survival every startup has to be good at performing the experiments that are necessary for the discovery of a successful business model. Definition #2: What is a company? A company is what a startup becomes once its search for a repeatable, scalable and profitable business model is complete. The inflection point between startup and company is characterized by the creation of the kind of infrastructure that we typically associate with large companies. For example, it becomes essential to have an HR organization where one was previously unnecessary. It become necessary to have a marketing and sales organization where that would have been hard to justify during the startup phase. Finally, it might also become necessary to build a sophisticated finance and accounting organization where previously there was not much to monitor or report, and someone with an unsophisticated understanding of accounting was adequate for the startup’s requirements, or the role might have been filled by someone working on a part-time basis. Basically, a startup becomes a company when its continued existence depends nearly equally on having the right organizational structures in place to ensure that the business is well managed as it does on having the right product or service to sell. Definition #3: What is strategy? According to Fred Nickols, strategy is the accumulation of perspectives, positions, plans, patterns, tactics, choices, policies, concrete actions, decisions, thoughts, ideas, insights, experiences, goals, memories, perceptions and expectations that enable a company bridge the gap between the factors of production that the company controls and the output that it wishes to create and deliver to its customers.2 More succinctly, strategy is the qualitative essence of how a company does what it says it will do for its current and prospective customers. At a high level, strategy gives broad, abstract and general answers to the question; In what direction should we travel? Definition#4: What is marketing? Marketing is the process by which the producer of a product or service creates demand for its output. It involves various modes of communication aimed at helping consumers interpret the value that the producer hopes to deliver to each consumer that buys the product or service. Marketing includes sales, advertising, public relations, and any other practice or activity whose ultimate goal is to build awareness in order to directly or indirectly facilitate sales. Marketing is what makes operations necessary. Without marketing, there would be no demand to satisfy. Definition #5: What is operations? Operations is the set of activities in a startup or a company that takes inputs and turns them into the final product or service through which the value proposition is delivered to the market. Operations is focused on the process of transformation – transforming tangible and intangible inputs into something that the market is willing to pay for, at a cost level that enables the producer to earn a profit consistent with the accompanying strategy. 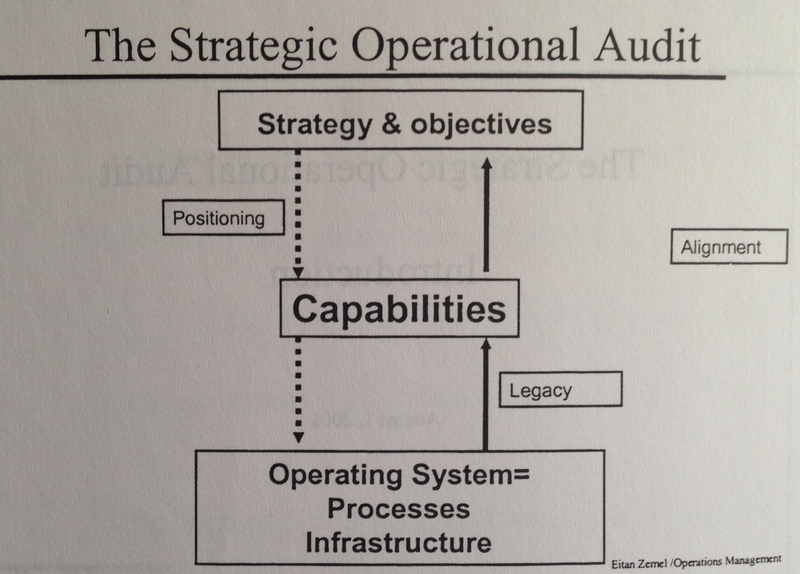 Operations seeks to answer the question; How do we implement strategy? In a fine dining restaurant operations is the process of transforming the knowledge and experience of every member of the restaurant’s staff into a consistently enjoyable and memorable dining experience. This process has to deliver results in tangible and intangible ways. Dishes have to be executed to a high degree of excellence, and the atmosphere, decor and service have to evoke emotions of pleasure, satisfaction and joy that meet or exceed diners’ expectations and cause them to dine at the restaurant as frequently as the restaurant’s operators wish. Each time a diner has a meal at the restaurant it must be memorable, in a good way. In a general aviation company operations is the process that begins with finding out the traveler’s needs, matching those needs with a specific aircraft, and then safely transporting the traveler from the point of departure to the desired destination within a period of time acceptable to the traveler. Each time a traveler is transported from one place to another, that passenger must arrive safely. Also, the passenger should have enjoyed the trip enough to choose that charter company as frequently as its operators wish. In a software startup operations is the process that begins with designing and creating the software, delivering it to users, and then ensuring that it is available whenever users or customers wish to use it. The experience of using the software has to be such that it is the first choice that users think of when they consider using software to facilitate that specific set of activities. Once a strategic choice has been made, the process of transforming inputs into outputs is accomplished through capabilities within the organization. The diagram below shows the connection. What is the connection between strategy, capabilities, and operations? It must work hand in hand with strategy, marketing, finance, human resources, and every other area within the company. It must implement procedures and processes that lead to the right blend of capabilities within the company – for exploiting current opportunities, or resolving future threats. It must make infrastructure choices that protect the startup’s strategic flexibility to deal with current and unforeseen developments in the market. Here are a few examples of how strategic and operational flexibility made the difference between startups that otherwise were neck-and-neck at some point in time – Friendster, Myspace, and Facebook. Contrast the fate of Facebook with that of Myspace and Friendster. Remember that Friendster, Myspace and Facebook were founded in 2002, 2003, and 2004 respectively. At one point Myspace was the most visited social networking site in the world. It briefly overtook Google as the most visited website in the world. So What happened to Friendster and Myspace? I am certain there is more than one reason for their failure. However, reports in the press suggest that their inability to adapt the technology that was core to running their business played an important role in their loss of market leadership to Facebook, and their subsequent failure – they continued to rely on server hardware and software from original equipment manufacturers who build off-the shelf servers. Friendster reportedly slowed down as traffic to its website grew.9 Similar observations are made about Myspace.10 While we do not know the full details, we can deduce that operations at Friendster and Myspace did not mature to the the same extent that operations at Facebook had matured. As these examples suggest, operations is critical to the survival of any entity that intends to grow to any substantial size by satisfying demand from a large number of customers or users. To succeed technology startups cannot make the mistake of treating operations like an unwanted orphan stepchild. Rather, operations must have a seat at the table, and it must participate in a healthy exchange of ideas, information and opinions with strategy, marketing, finance and accounting, and HR about how each of those functions can work, individually and in concert, to accomplish the goal that the startup wishes to set for itself. Tech startups can ill afford to have operations start from the bottom. Fred Nickols, Strategy: Definitions & Meanings, 5/24/2012. Accessed online on Aug. 10th, 2014 ? Fisher, Michael; Abbott, Martin; Lyytinen, Kalle (2013-11-01). The Power of Customer Misbehavior: Drive Growth and Innovation by Learning from Your Customers (p. 103). Palgrave Macmillan. Kindle Edition. ? Twitter and Zynga are two more examples of cases in which product features, and operations have been adapted and modified on the basis of observed user behavior. Pinterest just updated its web and mobile apps with a messaging feature. From the outside it appears this update is a response to the observed behavior of its users. ? Jeff Dean(2008 Google I/O Session Videos and Slides); Underneath The Covers at Google: Current Systems and Future Directions. Accessed online, Aug. 15th 2014. ? Jonathan Helliger; Building Efficient Data Centers with The Open Compute Project, Apr. 7th, 2011. Accessed online, Aug. 15th, 2014. ? Jon Brodkin; Who Needs HP and Dell. Facebook Now Designs All Its Own Servers, Feb. 14, 2013. Accessed online, Aug. 16, 2014. ? Netflix, Amazon and RackSpace are each reported to have adapted their operations to rely on custom designed server hardware. I assume there are others we do not yet know about. At one point SingTel, the huge Asian telecommunications company was thinking of building its own CDN instead of relying on providers like Akamai. ? Gary Rivlin; Wallflower at The Web Party, Oct. 15th, 2006. Accessed online, Aug. 16th, 2014. ? Abel Avram; Debate: What’s The Reason for MySpace’s Decline?, Mar. 30, 2011. Accessed online, Aug. 16th, 2014. ?